This post is sponsored by Beech-Nut® Naturals™. All thoughts and opinions are my own. 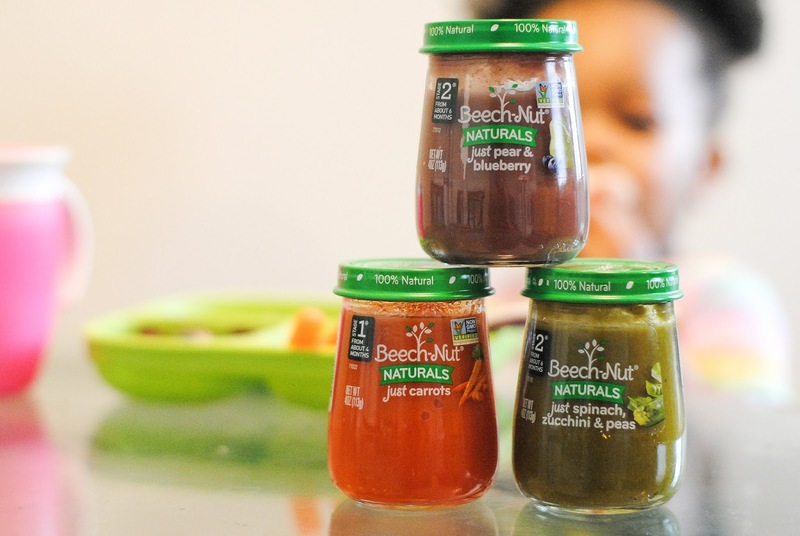 Raise your hand if you struggle with a picky eater 🙋🏾 I don't even know how McKenna got to be a picky eater because I ate EVERYTHING while pregnant and breastfeeding and she ate a variety of pureed baby foods from Beech-Nut® Naturals™ before starting table food. I felt completely helpless when she ignored everything on her plate and some days I still feel that way at meal times. 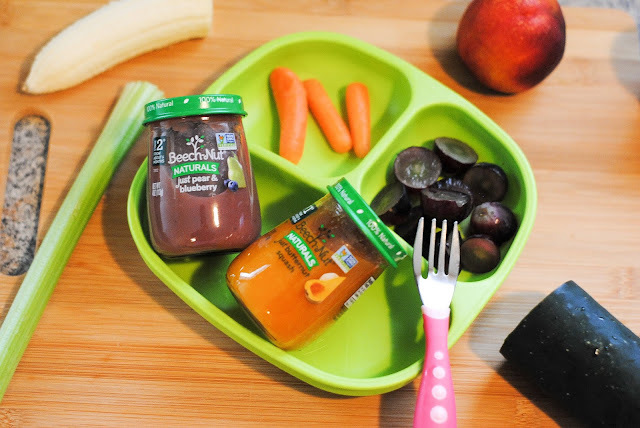 After one of my Google search sessions, I came up with a new plan to get my little girl to eat more than fruit and those orange peanut butter crackers. 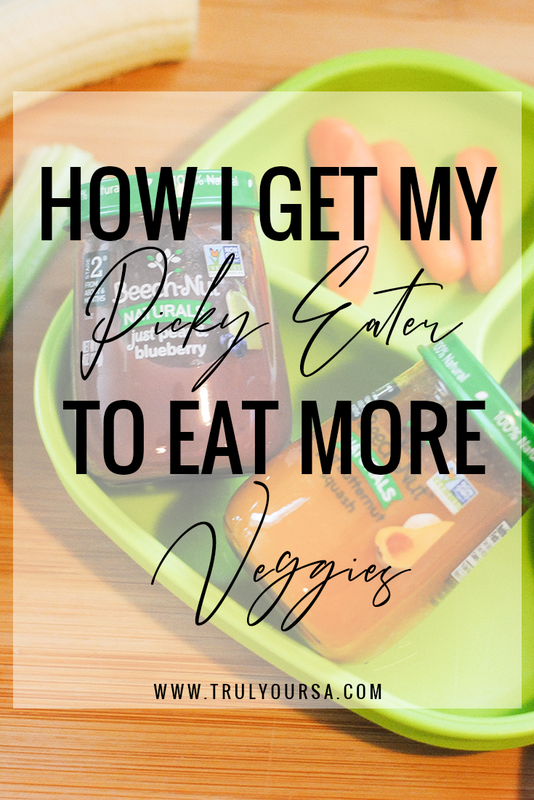 Keep reading to find out how I got my toddler to eat more veggies! The first thing I did was stop worrying about what she did (or didn't) eat. This made me feel less stressed, which in turn made meal times less tense. The two of us sit at the table and "talk" and laugh while eating so it doesn't feel like she's being forced to eat. I also allow her to eat while playing and it definitely helps her clear her plate after running, jumping, and burning all those calories off. My second move was to practice what I preach and eat more veggies, too. I love vegetables, but I don't always incorporate them into every meal I eat. Once I did this, McKenna took a bigger interest the the veggies on her plate and started to eat them without prompting. 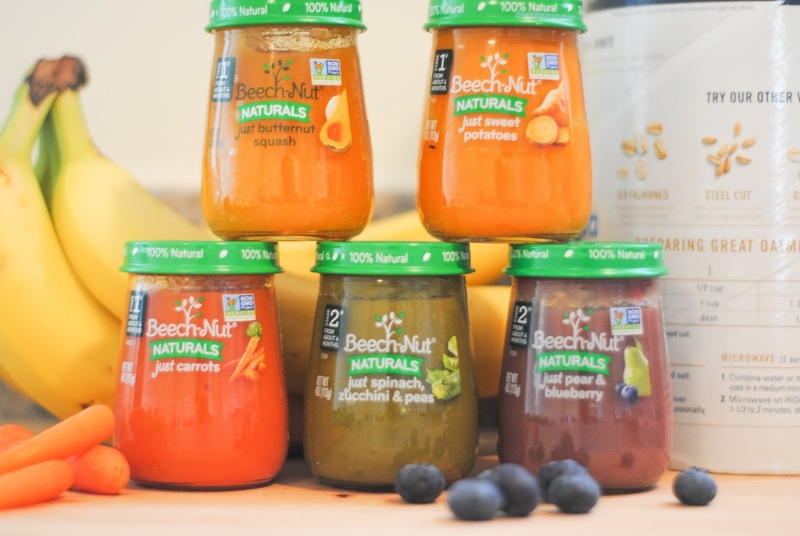 It's so easy to see why I use Beech-Nut® Naturals™ in a lot of McKenna's meals: they are made with real fruits and vegetables, just like I would use at home. 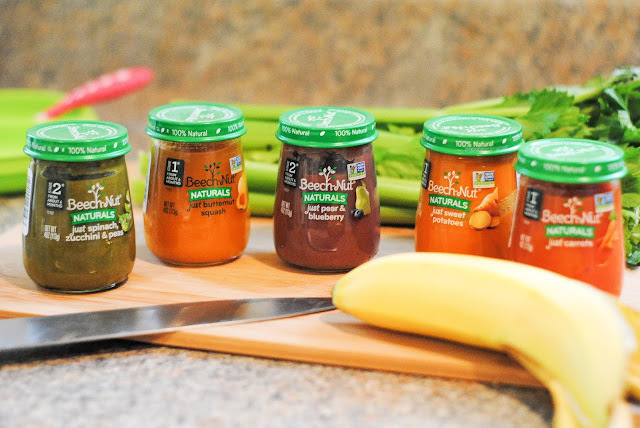 All of the varieties I mentioned above are also available in Organic, which is what McKenna's dad prefers. Getting my toddler to give up her picky eating ways is probably something I will battle until she gets a little older, but thanks to the 3 methods I mentioned above it'll make the struggle a little easier. How do you deal with your picky eater at meal times? Share your experiences in the comments below! And if this post was helpful or you know someone who would benefit from it, please share using the buttons below!